We were interviewed by the ABC North West recently and here is the result! 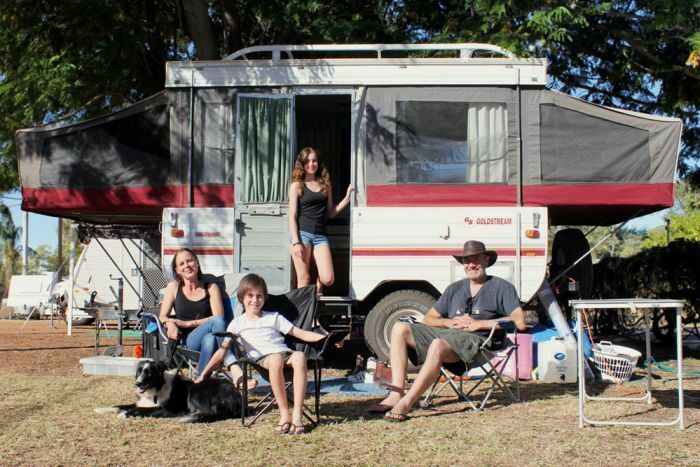 A Victorian family of four is recreating history by packing their life into a small caravan with the hope of sharing the story of explorers Burke and Wills through a theatre show. In the late 1800s, Robert O'Hara Burke and William John Wills left Melbourne to travel north in what became one of Australia's most renowned colonial tragedies. Now, husband and wife Simon and Tina Storey are doing the same, acting in a self-written play with their 14-year-old daughter Amelie, while their nine-year-old son Sam works as the stage manager. 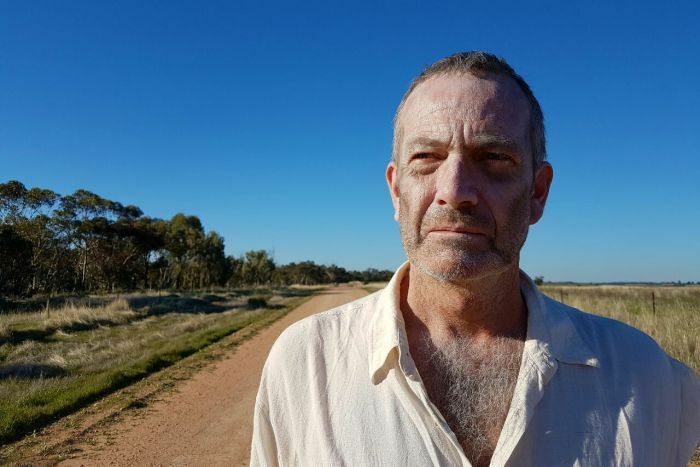 "We are the Storey Players and we are presenting a show about Burke and Wills and it's told from the perspective of John King, who was the only survivor," Mr Storey said. "I play the ghost of John King and my daughter plays a teenager who doesn't want to learn about history, but slowly gets drawn into the story." The Storeys left home in May and have performed the show through Victoria, western New South Wales and now Queensland, where they are travelling up to the Gulf of Carpentaria. "This is the route that Burke and Wills took and this is the launch of our theatre company — this is the first so we've created and we're going to create more," Mr Storey said. The family moved from Germany four years ago and knew very little about the colonial stories behind Australia's early history. "Coming from Germany, it's just so different here. It's so big and so wide … and we thought a lot about the explorers and what it was like for them to arrive here," Ms Storey said. This sense of empathy led to idea of retracing Burke and Wills' journey, a trip Ms Storey said was teaching them a lot about Australia and its people. "This is such a great thing about Australia and Australians that you can actually do this and travel around with your family," she said. "The school actually supports you and says 'That's a great thing and do it. Yes, do a bit of math on the way', but aside from that the kids learned so much. 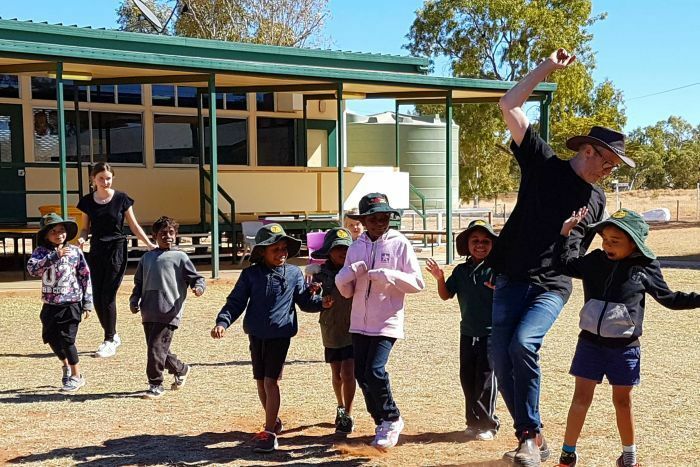 "We also do those drama workshops and the remote schools, and you meet the people and for a short time you're part of the community and that's fascinating," Ms Storey said. "[I am learning] all sorts of things about birds, animals, plants and about Aboriginal communities, and performing as well is amazing," Amelie said. Mr Storey said while the caravanning holiday had strengthened the family's relationship, it marked the infancy of the theatre company. "We want this to be the launch of our company and our hope would be that we can continue writing shows about Australian explorers," Mr Storey said. "It's easy to forget that European Australia is only a couple hundred years old, and very brave men went out and tried to explore it. "There are still interesting stories about the relationship between the Europeans and the Indigenous people that can be told."